Next time you want to complain about your spatially ­challenged NYC apartment, just remember the name Matt Baldassano. Because that’s the name of a guy who lives in a 550sqft apartment in the East Village with a dog a​nd, oh right,​ a fully functioning winery. 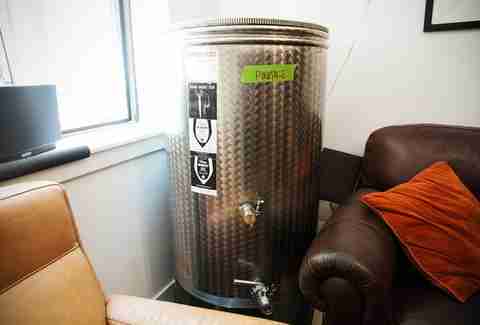 We’re talking ginormous barrels of fermenting grape juice sitting in what is potentially his dining area for about a year at a time. 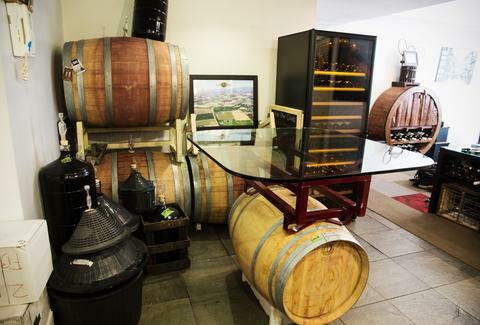 A steel barrel in his living room with more wine­ in ­the ­making. An electric crushing machine. And 4,000lbs of grapes (that’s two tons!) 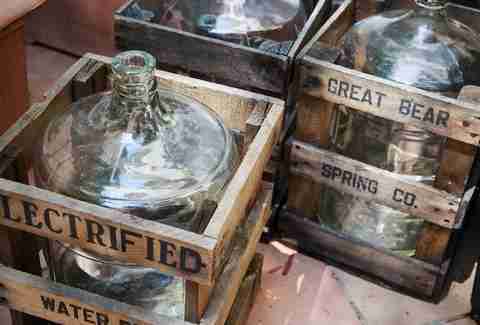 that are dropped off on his sidewalk and stored in his backyard. The four-year-old operation -- which now produces 10 (yeah, TEN) different wines using grapes from both the Northern Hemisphere (California and Italy) and the Southern (Chile, Argentina, South Africa) -- takes up literally every corner of the place. So why the hell does he do it? “You mean, besides the girls?” he jokes. 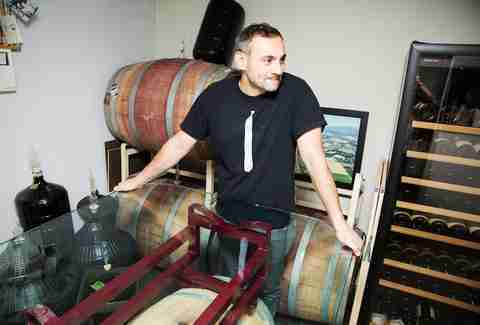 A third generation urban winemaker, he says the alcoholic grape juice is in his blood. And he’s also quick to point out that he has help: Matt started what’s today known as the Village Winery Club; it now has more than 100 members who pay dues (the cheapest membership goes for $200) to cover all of his operating expenses, labor, and even his rent, and in return they get to go to events during the wine-making process, plus access to bottles. The best part though: not only does the club pay him to make the wine, its members also help him crush allllllll of the grapes. Twice a year, Matt throws a party where members and invited guests come over to crush. Most of them just grab a box of grapes and throw them into that electric crushing machine. But others take off their shoes and stomp on the grapes, because they’re in the club, and it’s their wine, so they can do what they want. The grapes ferment in vats in the yard for 8-10 days before they get pressed and racked (that’s a fancy way of saying the grape juice gets extracted and put into barrels). 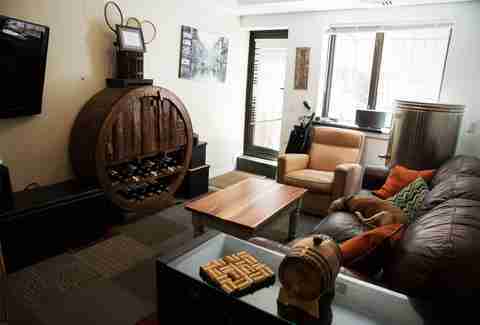 Once the wine is in the barrels, he sets the temperature in his apartment to a necessary 66 degrees. Then 10-18 months later, boom, you’ve got matured wine. 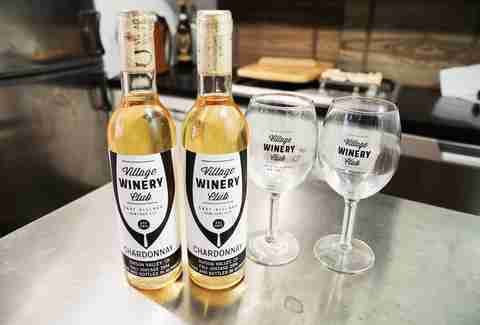 Oh and before you ask, yes, the whole Village Winery Club thing is surprisingly legit. It operates under the state’s home wine-making laws, which limit the amount of wine one can make, and also (sad face) prevent him from selling it by the bottle. So basically, buying a membership (which you should), or buying a non-member ticket to one of Matt’s events (which include a bottle and full credit towards any VWC membership) are the only ways to taste his wine (thanks a lot, laws!). But once you’re in, you’ll get to enjoy some of those 10 wines, which feature labels that pay homage to his neighborhood, including the Tompkins 2 ​malbec and the Loisaida Sirah. Want to be a member of Village Winery Club, talk terroir, or just pet his dog? 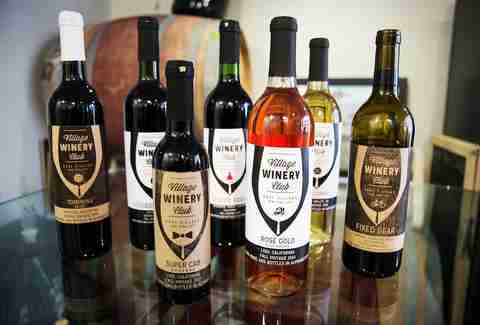 E­mail Matt@villagewineryclub.com. Mara Montalbano is a contributor to Thrillist and may or may not have gone through an entire bottle of wine writing this story. Lay off her! She’s thirsty. Follow her @MaraMontalbano.